Editor's Note: The following is a response to a July 10 commentary by former Indiana Horse Racing Commission executive director Joe Gorajec addressing comments to the United States Congress made by Ed Martin, president of the Association of Racing Commissioners International (ARCI), along with a series of alleged inconsistencies in regulatory oversight in Pennsylvania. 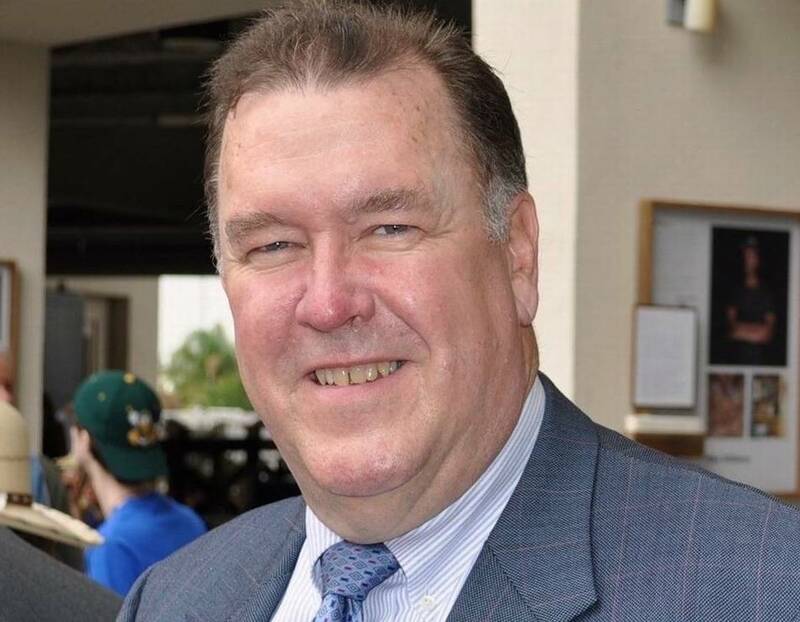 Gorajec is an advocate for the Horseracing Integrity Act of 2017 (H.R. 2651) that would create a national, independent, non-governmental agency under the umbrella of the United States Anti-Doping Agency to oversee medication policies, testing and enforcement (as USADA does for U.S. Olympic athletes and in other human sports). Martin supports state-by-state adoption of national uniform medication rules. In response to your recent opinion piece concerning actions taken by the old Pennsylvania Harness Racing Commission in 2016, I find it interesting that your focus is on overages involving Class 4 medications, those deemed to not have a high possibility of affecting performance, although one can exist. Unlike the WADA/USADA policy in human sport, these drugs are not permitted to be in one of our equine athletes when it competes under any circumstance. I find it telling that the USADA annual report says they actually gave approval to athletes seeking permission to use glucocorticoids 156 times last year. That's 41% of all the exemptions they granted. For what it's worth, USADA approved 90% of the requests received to use prohibited drugs requiring their OK.
No matter how you cut it Joe, if someone asked a commission for permission to use a glucocorticoid on a horse about to race, the answer would uniformly be “no”. I have looked into the actions of the Pennsylvania commission with regard to the cases you referenced affecting Shawn Johnston, Rick Gillock and Ron Burke. You neglected to mention these instances occurred during a time when the ARCI Model Rules had been adopted for Thoroughbred racing but not yet for Standardbred races. The PA Commission can and should speak for itself on individual case matters, but from where I sit the cases affecting both Mr. Gillock and Mr. Burke appear to have been handled consistent with the rules in effect at that time for harness racing in Pennsylvania. While you and I share the desire that the ARCI Model Rules apply universally, you must concede that unless they have been formally adopted, they are advisory and cannot supersede the actual rules of a jurisdiction. The good news is that since these 2016 instances occurred, the harness rules in Pennsylvania have been adjusted to reflect the thresholds contained in the ARCI Model Rules and controlled therapeutic schedule with one exception, clenbuterol. With regard to Mr. Johnston's case, he appears to have been penalized under the Thoroughbred rules even though his case involved a harness race. I am told this happened because of an unfortunate human error during a time of agency and management transition. I am told this matter has since been rectified to be consistent with the applicable harness rules at the time. While you and I and many others are just going to have to disagree on whether H.R. 2651 is an improvement or not, it has no bearing on the cases you have referenced or inquire about. As you know, there is total uniformity that performance enhancing drugs are not allowed to be given horses when they race, and all commissions utilize the ARCI database to determine whether a violator has a pattern of non-compliance that would be considered an aggravating factor worthy of a progressive penalty. I concede the point that there are areas of inconsistencies, but they are few and relatively minor in the scheme of things. To telegraph them as an indictment of the integrity of an entire sport in a growing competitive environment (sports betting) is downright reckless, like telling the public that roads are unsafe because the speed limit is slightly different in the next town. Perhaps the quickest and least controversial way to have uniform rules would be to adopt the ARCI Model Rules by reference in federal (not yet) or state statute (Florida) or by regulation (New Jersey). But that's not going to address those who would cheat by using designer drugs or a strain of EPO that nobody – even Hong Kong – can detect. The National Uniform Medication Program (NUMP), albeit desirable, does nothing to address this challenge, which is not limited to horse racing. It's a shame that all the money being spent to fund lobbyists, consultants, PR firms and bloggers couldn't be dedicated to fund emerging threat research at the Racing Medication and Testing Consortium instead of continuing a Don Quixote effort to convince people racing is really bad in order to pass a long shot federal bill that is divisive to an industry. Those who police this sport are well aware of the possibility of infractions, but one needs evidence, not public pronouncements of opinion presented as fact. Someone once asked me about a regulator who couldn't pursue a Class 1 doping violation after creating a situation that made prosecution impossible. They wanted to know if it were deliberate. suspecting he was on the “take” from the owner or trainer or even a bettor. My answer was “I guess it's possible, but what I think actually happened was a major screw up.” The person responsible is no longer employed by that commission. To create an unfounded innuendo against this individual would have been wrong, just as is leveling broad brush unsubstantiated innuendos against the overwhelming numbers of horsemen who adhere to the rules. Unfortunately, this was recently done in a letter to Congress by two prominent racing leaders claiming that cheaters were being encouraged by the rules which you helped develop. No proof. No substantiation. A significant partner of the so-called Coalition for Horse Racing Integrity (CHRI) just posted a damning video about horse racing on YouTube implying that everyone is abusing their horses. It amazes me that some industry organizations continue to monetarily support this effort. I am equally amazed by those who pontificate against Lasix while using it on their horses when they really don't have to. There's a word for that, but my manners prevent me from using it. Racing will soon face competition with widespread betting on human sporting events. These events are not policed as well as horse racing. Concerns about this are already being raised and were noted clearly at this month's conference on sports betting held by the National Conference of Legislators from Gaming States. Right now is the time for this industry to get its act together to impact on sports betting legislation moving forward in the states to ensure that horse racing is not left in the starting gate or limited as to how it can compete effectively (i.e. existing fixed odds wagering restrictions). This was my advice in June to the American Horse Council's Racing Advisory Committee. Everything else is a red herring. This entry was posted in NL Article, Ray's Paddock and tagged ARCI, association of racing commissioners international, ed martin, horseracing integrity act, Joe Gorajec, national uniform medication program, pennsylvania state horse racing commission, united states anti-doping agency, usada by Ed Martin. Bookmark the permalink.